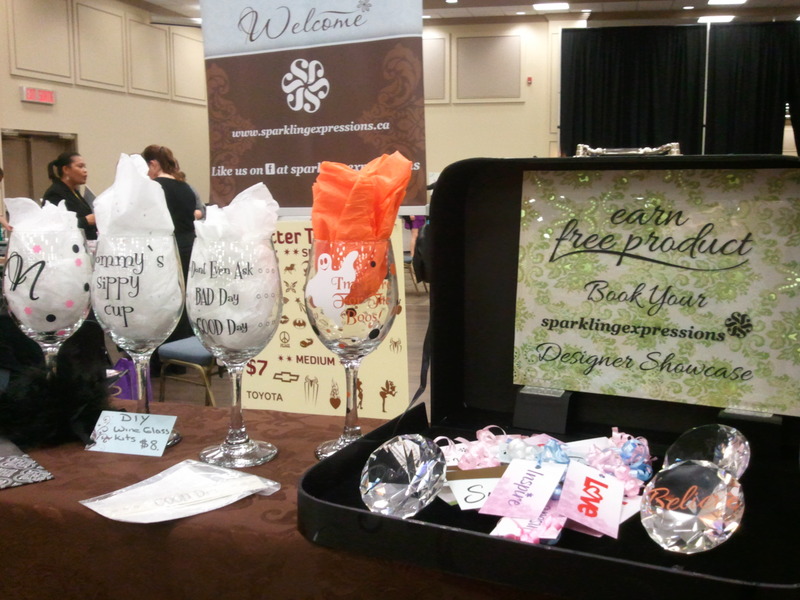 sparklingexpressions took part in this October's Women in Business trade show this past weekend, located at the Nepean Sportsplex. Close to 100 vendors from every industry took part in what was a successful fun filled day. 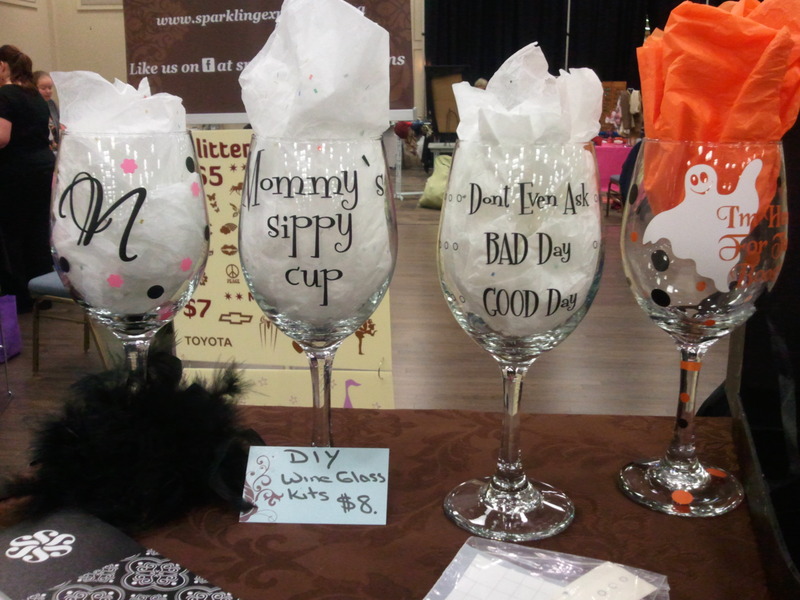 We were quite pleased to have the opportunity to share what sparklingexpressions is about and to showcase some of our products and crafts made from our vinyl decals. We also had the opportunity to meet and greet many fabulous visitors and vendors and continue to spread the sparklingexpressions dream. 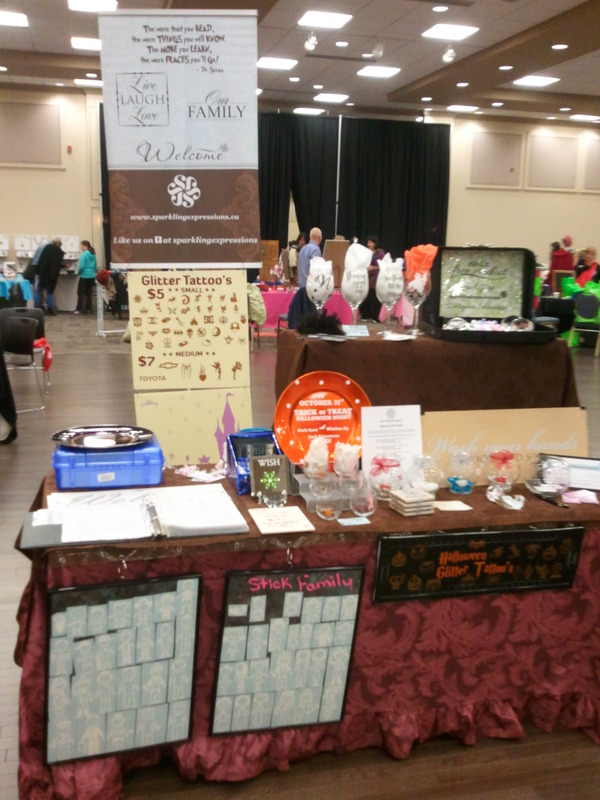 The following are a few pictures that were taken from inside the Women In Business Ottawa Trade Show. We would like to thank everyone who stopped by to take a look at what we have to offer. If you are looking for custom designed vinyl decals and/or decor, or perhaps interested in rhinestone motifs or vehicle advertising, drop us a line and we'll gladly work with you to create the perfect package to suit your needs.